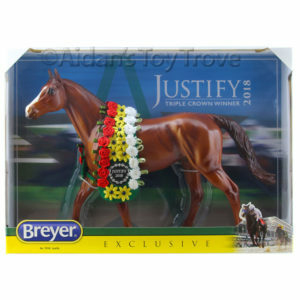 Breyer treated Premier Club members with a sneak peek of the second 2017 Premier Club model. 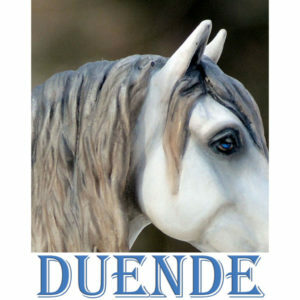 His name is Duende and he was designed by the very talented Mindy Berg. 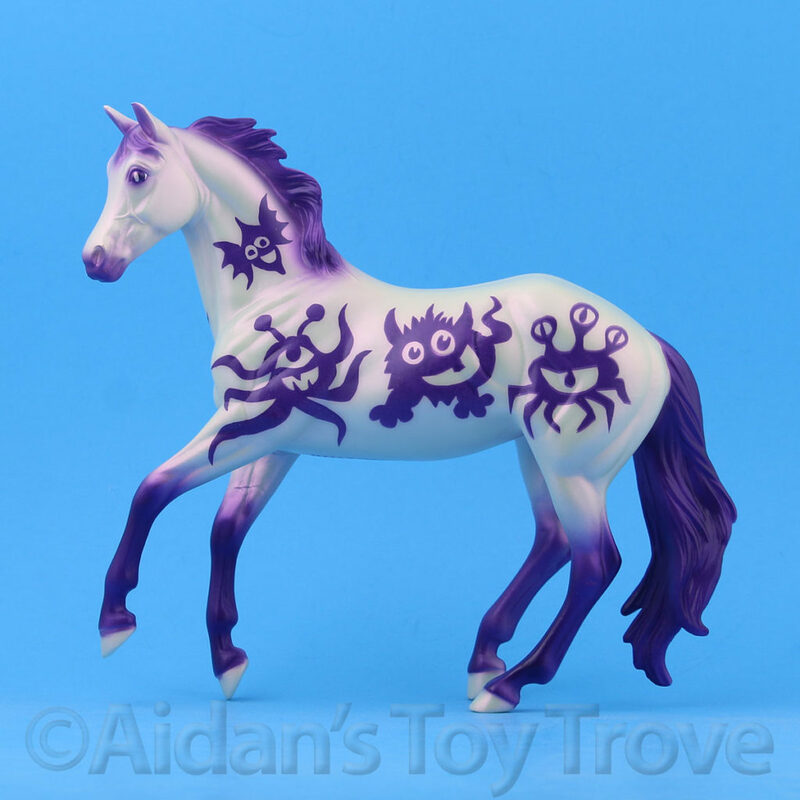 I am a huge fan of Mindy Berg’s work. 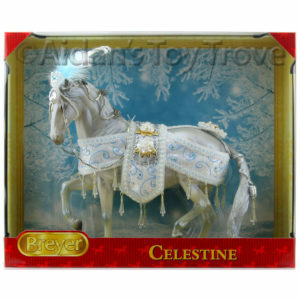 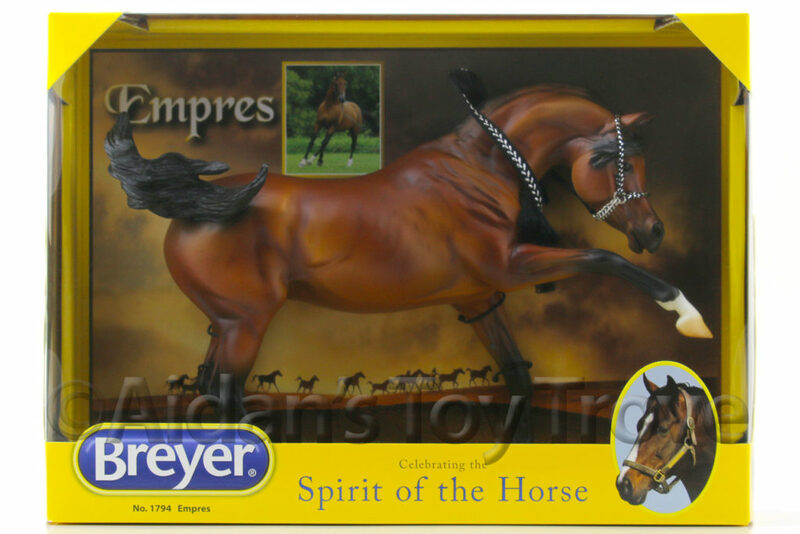 I have owned multiple custom Breyer Horses by Mindy and I’m confident that I will be also be a fan of Duende. 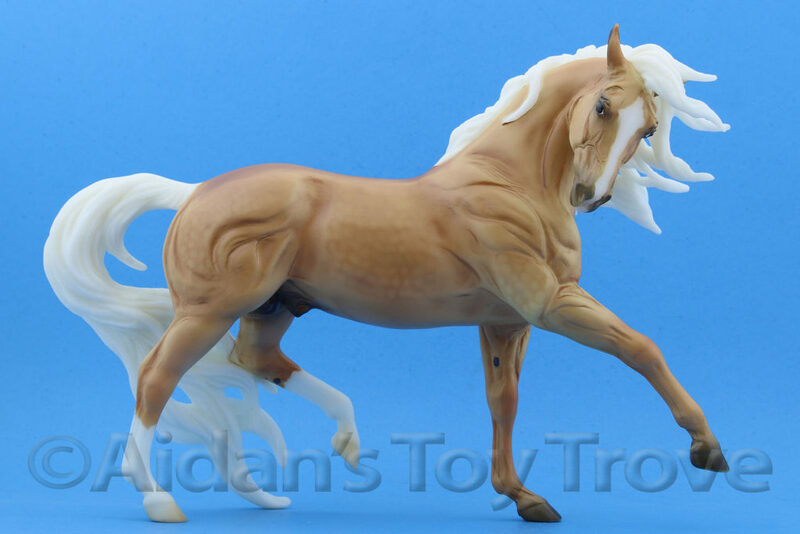 The Spanish Horse lover in me makes me want to say this new sculpt will be a Spanish Breed and Duende certainly looks Spanishy to me! 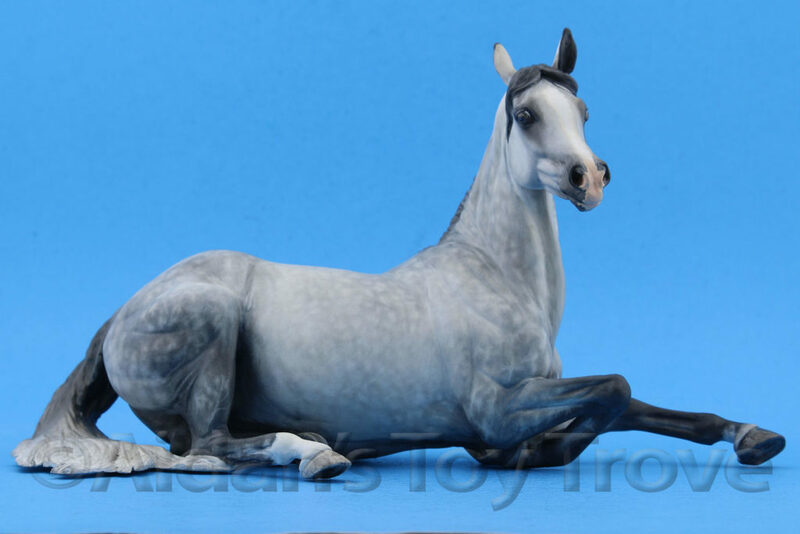 His gorgeous grey color and tinted blue eye are trademark Mindy as well. 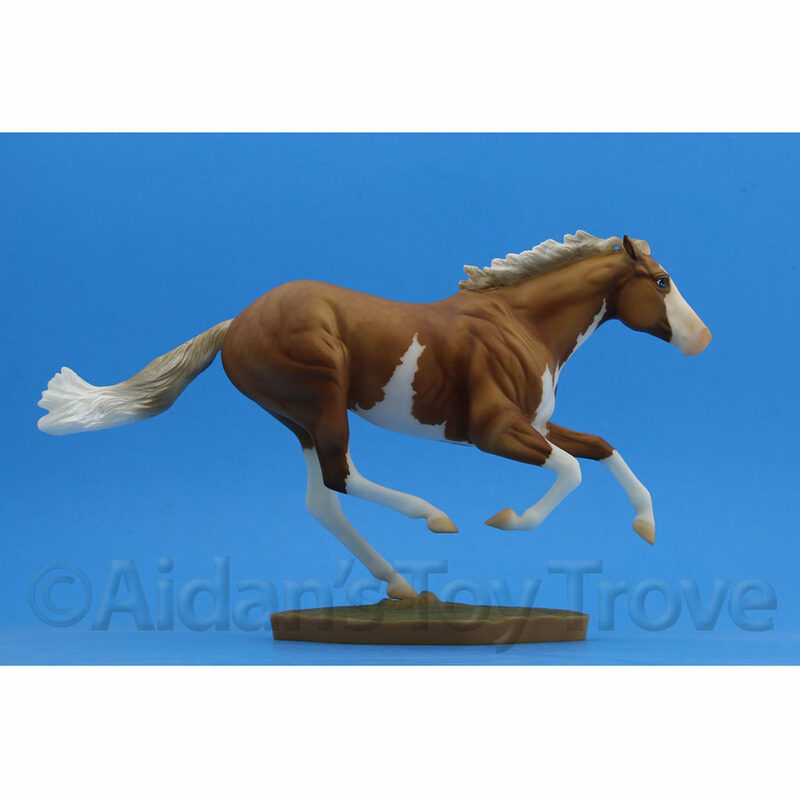 I’m not sure if Mindy also sculpted Duende but hopefully Breyer won’t keep us hanging TOO long. 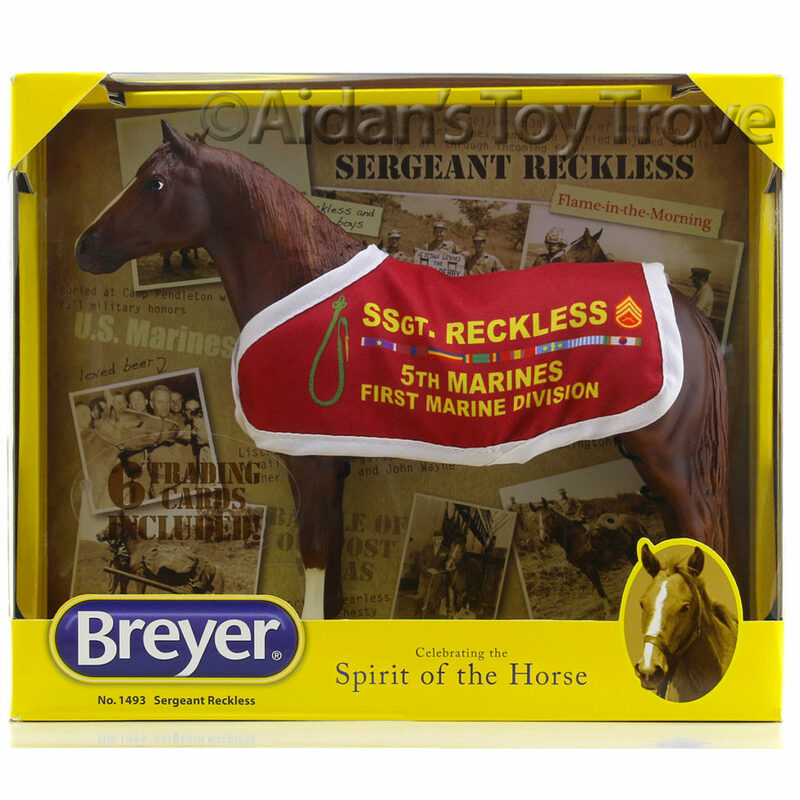 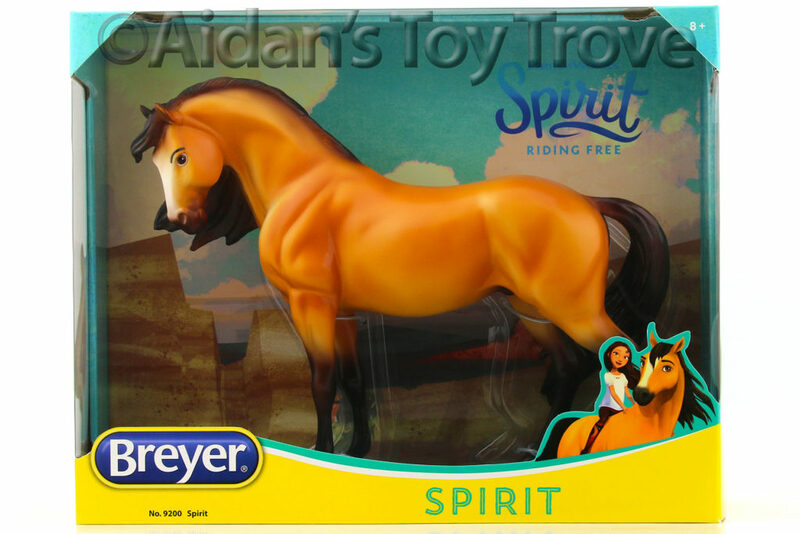 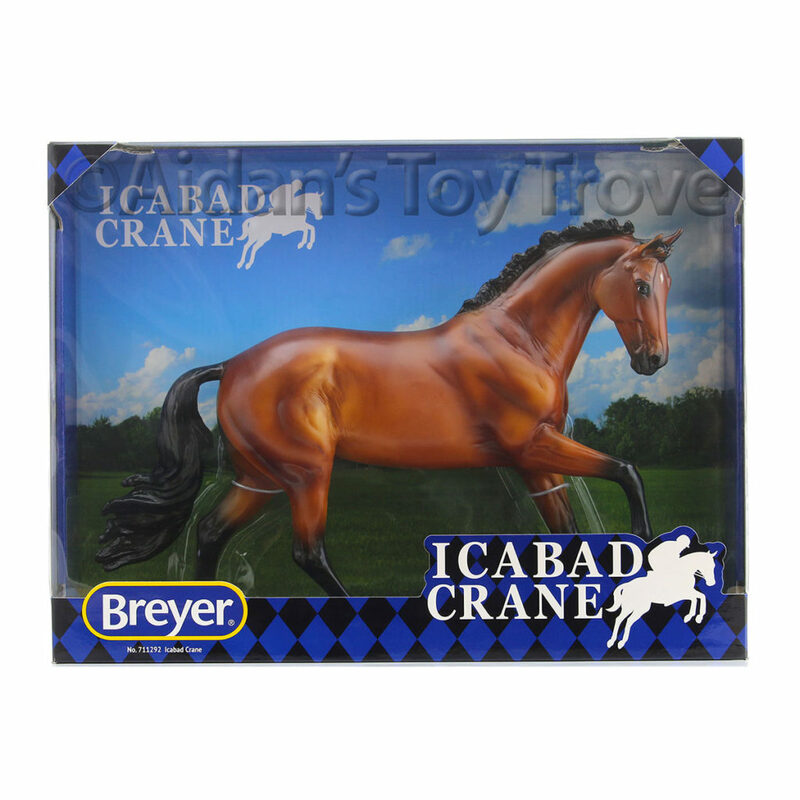 Sneak Preview of Breyer Premier #2 by Mindy Berg! 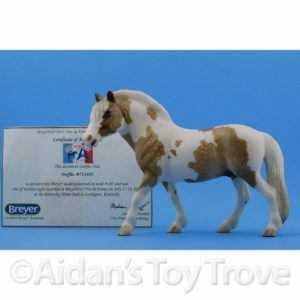 I just paid for my True North and hadn’t even begun to think about the next Premier Club model. 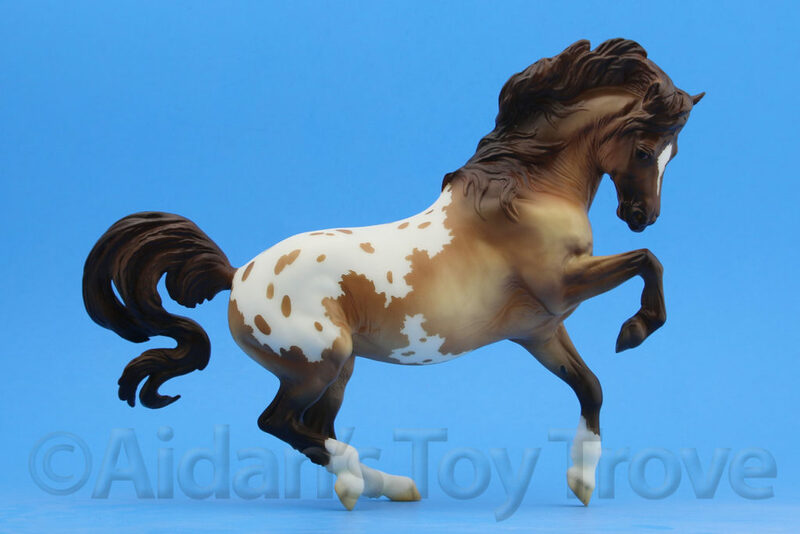 Duende is like icing on the cake as my main draw to the 2017 Premier Club was True North himself. 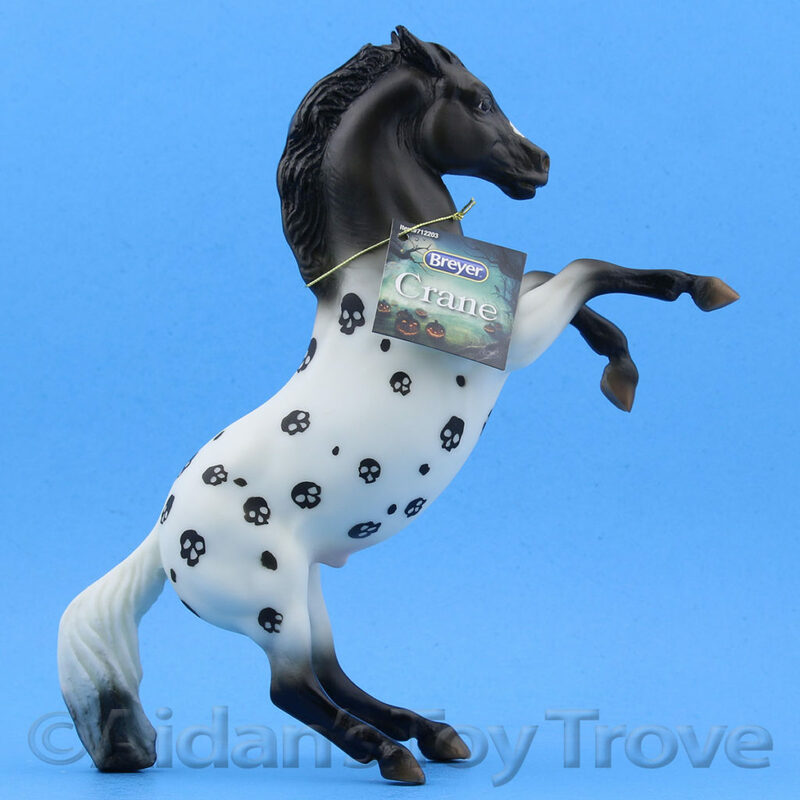 True North was sculpted by Morgen Kilbourn and had his paintjob designed by Stephanie Michaud. 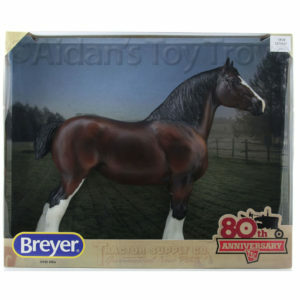 For fun, here is a picture of a Breyer Custom by Mindy Berg that I used to own. 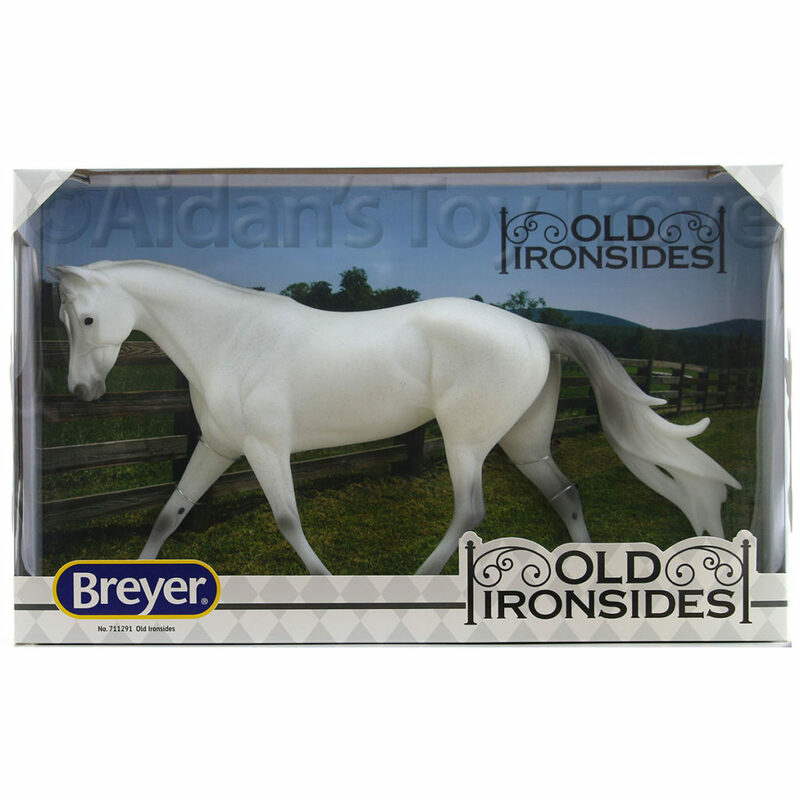 She was the BreyerFest 2016 Open Show Custom Overall Grand Champion.